Dell Venue 8 7840 8.4" Android KitKat 4.4 16GB 2GB Intel Atom Z3580 CPU Tablet Brand: Dell Part Number: XV6WH Model: Dell Venue 8 7840 Type: Tablet CPU/GPU/CHIPSET: Chipset: Intel Atom Z3580 CPU: Quad-core 2.3 GHz GPU: PowerVR G6430 NETWORK: Technology: GSM / HSPA / LTE SIM: Micro-SIM DISPLAY: DISPLAY Type: OLED capacitive touchscreen, 16M colors Size: 8.4 inches, 204.6 cm2 (~76.3% screen-to-body ratio) Resolution: 1600 x 2560 pixels, 16:10 ratio (~359 ppi density) Multitouch: Yes, up to 10 fingers OPERATING SYSTEM: OS: Android 4.4.2 (KitKat), upgradable to 5.0.2 (Lollipop) MEMORY/RAM: Internal: 2 GB RAM STORAGE: Internal: 16 GB Card slot: microSD, up to 512 GB (dedicated slot) CAMERA: Main Camera: Single 8 MP, AF, f/2. Hard Drive: 128GB SSD. Most of these have a bad dock/keyboard port on the bottom, which will only affect you if you plan to attach it to a dock or keyboard. Other than that, they are in excellent condition and tested to be fully functional. Dell Venue 8 Pro. Condition is Used. Shipped with USPS Priority Mail. DELL LATITUDE 11 5175 Touchscreen Tablet. Dell Latitude 11 5175. Windows 10 Professional. We stand behind our product 100%! Physical Characteristics. Battery Capacity. Lithium Ion (Li-Ion). Battery Chemistry. Travel Keyboard K12A. Power Adapter. Windows 10 Pro. Condition: This item has been tested and is fully functional. Item is in grade "B" condition. Buy It Now. Also, we do not have a price matching policy. Dell Venue 8 Pro 3845 32GB, Wi-Fi, 8in, Windows 10, ready for new user setup. Dell Latitude 11 5175. 128gb SSD storage. To use this feature you will need to install the applicable sim chip from the phone carrier of your choice with the necessary data plan. Dell Venue 11 Pro 64GB, Wi-Fi, 10.8in - Black (Case Stylus Keyboard Dock). Condition is Used. Shipped with USPS Priority Mail. 1.46GHZ QUAD/64GB SSD/2GB RAM/10.8"/WIN10Tablet Condition is 10/10 no scratches or dents anywhere on the body, looks brand new. Comes with official Dell Keyboard Dock, Official Dell Stylus and an Amazonbasics laptop bag. Has Windows 10 installed, Battery condition for both the tablet and keyboard dock are excellent. 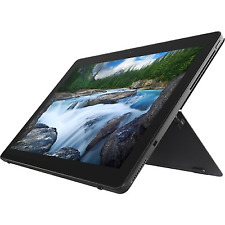 Dell Venue 8 Pro 3000 Series (32GB) - Black. Condition is Used. Shipped with USPS Priority Mail. 2GB RAM - 64GB Solid State Drive. DELL Latitude 10. Hard drive wiped clean and fresh install of Windows 10. Storage : 128GB SSD. Dell Venue 10 Pro 5056. Make / Model : Dell Venue 10 Pro 5056. RAM : 4GB (LPDDR3 1600MHz). Each unit will include a keyboard. Genuine Dell AC adapter and stylus are included. Power button | 3. Lighly used Venue 11 Pro 128GB, WiFi with Accessories. Venue 11 Pro 7140 upgraded to Windows 10 Pro (1809). Targus SafePortRugged Max Pro Case. It is in excellent condition and was always used with the screen protector. Storage Capacity 128GB. The Dell Venue 10 Pro combines the portability and design of a tablet with the power and capabilities of a laptop. The Dell Venue 10 Pro Tablet is also great for increasing your productivity at work. Other Part Numbers T01D, T01D001. Part Number 5830. Hard Drive Capacity 64GB. Manufacturer Dell. 64GB storage. The screen has a few small scratches that aren't obvious while using the tablet. This tablet DOES NOT have an OS installed, but is in good condition overall. NO SD CARD. Windows is freshly installed, Fully Functional and ready for new owner. minimal scratch, Garde A-. Used. Fully functional. Includes 30 day warranty.The item may have some signs of cosmetic wear, but is fully operational and functions as intended. See pictures for reference. Charger not included. 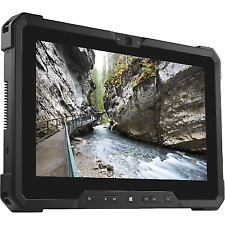 BETA LA-Tronics - Dell Venue 11 Pro 7139 10.8" FHD i5-4300Y 4GB 128GB SSD Windows 10 Pro, Grade C. 128GB SSD Storage. Windows 10 Pro. Also, we do not have a price matching policy. We will not price match to a lower price. There is no manufacturer warranty on any item. QUICK START GUIDE. INCLUDES AC POWER ADAPTER AND USB CABLE. Fully Functional and ready ! New Dell Venue 8 7840 8.4" 1600x2560 Android 5.1 16Gb ROM 2GB RAM Tablet 9THTG Brand: Dell Part Number: 9THTG MPN: 09THTG, CN-09THTG Model: Dell Venue 8 7840 Adapter Part Number: 77GR6 Cable Part Number: C1R5R Power Cord: FX429 Type: Tablet CPU/GPU/CHIPSET: Chipset: Intel Atom Z3580 CPU: Quad-core 2.33GHz GPU: PowerVR G6430 NETWORK: Technology: GSM / HSPA / LTE DISPLAY: DISPLAY Type: OLED capacitive touchscreen, 16M colors Size: 8.4 inches, 204.6 cm2 (~76.3% screen-to-body ratio) Resolution: 1600 x 2560 pixels, 16:10 ratio (~359 ppi density) Multitouch: Yes, up to 10 fingers OPERATING SYSTEM: OS: Android 5.1 (Lollipop) MEMORY/RAM: Internal: 2GB RAM STORAGE: Internal: 16GB Card slot: microSD, up to 512 GB (dedicated slot) CAMERA: Main Camera: Single 8 MP, AF, f/2. Dell Venue 8 16GB 8” Android Tablet.